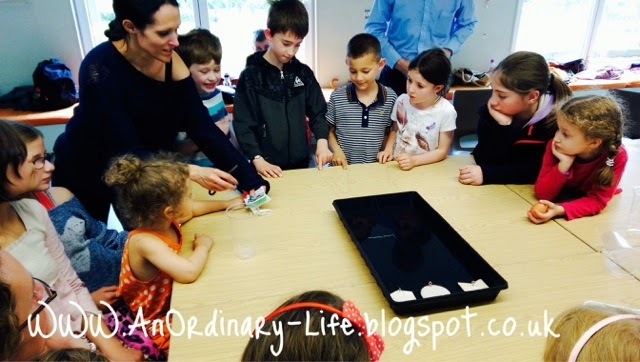 An Ordinary Life : Science is fun if first we play and discover! 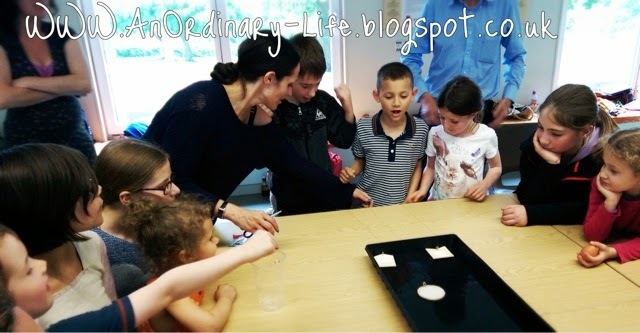 Science is fun if first we play and discover! Monday was science group. 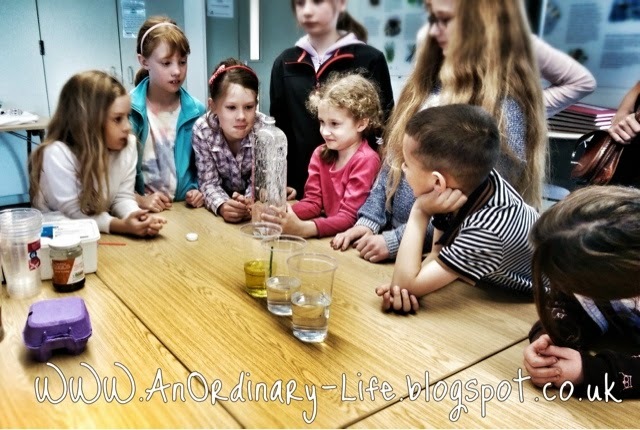 How eager the children were to get on with science experiments! It grows more intense each time I think, there were squeals and hands reaching out to be involved and I did my best to ensure everyone had a go at everything. Science is fun if we first play and discover! We were looking into Archimedes' Principle and buoyancy. 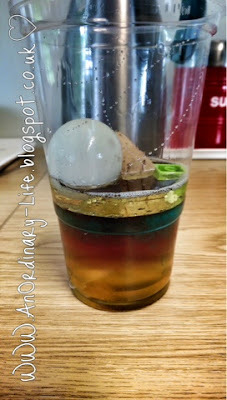 I started by talking about density and carried out The Layers of liquid experiment. I started with the Honey I knew where it would land, now I think it would have been more fun to start with oil! However when I added the salt water and the oil the layers became more apparent. I discussed with the children why they thought the liquids made layers in that way. They kept using the term heavier, and I knew what they were getting at so I explained that they meant denser. So, on the spot, I thought of a more visual way to explain it. I got 6 children to crowd in one spot, then I asked four to make a crowd and then space themselves out to make themselves as big as the 6 people. I showed them to do that there was a lot of room between each person, and each person represents a particle and that the 6 in a crowd made a more dense crowd than the 4. They liked it and so we went back to add a few more layers to our honey, salt water and oil. We also added various solids and I explained that gases, liquids and solids all follow this rule when it comes to density! I showed them the hydrometer I had made the previous week. I think it's the fact that I get them to hypothesise, guess what will happen, before we experiment. If you want to make you own or are curious to what it is you might like to visit my link: How to make a simple hydrometer. They also had a lot of fun with the Lava lamps I brought in. I was gutted there wasn't quite enough oil. Still everyone got a go and a few people took theirs home. I knew the children would like the boat races. They took a bit of an effort to prepare so I was pleased that the children wanted so many races! They loved making the predictions, they loved counting down to launch and launching the boats. It was so lovely to see their little faces light up and punches of victory! Before I knew it they were out of time and had to fly as Harmonie needed to get to dance class. We made it in time. Boy, my legs ached that evening! Ha! Another very fun and successful Science group! I am looking forward to the next one now as it's all about CHEMISTRY! That looks like a really fun lesson. Thanks for sharing it. Thanks so much Lisa for linking up to this weeks #homeedlinkup and I hope other home-edders discover your blog through it !